There are ways to boost home Wi-Fi without having to buy any expensive router. With the landscape and concrete jungle expanding exponentially in a ridiculous speed, there are so much radio waves around us. Buying an expensive router or signing up for the most expensive plan might seem like an ideal way to get the best broadband experience. However, if you are not putting in effort in the placement of the router and focusing on the fundamentals of how radio waves work, no amount of money spent will be well spent. I stumbled on some videos on how you can use aluminum foil or aluminum cans to create miniature satellite dish to improve on the Wi-Fi in your home. I thought that was just a whole lot of bull. Never did I realize it’s shockingly impressive. In fact, the Wi-Fi boost was so great that it felt like my router was re-born to be a much better router by at least 70%. I strongly recommend everyone to try. First, cut the aluminum can into small portions that resemble a sail of a boat. If you are skillful, you may cut the can into a good looking satellite dish. Wrap the aluminum foil over the pieces of aluminum that you have cut. Ensure that the shiny surface is facing outwards. If you are using a styrofoam bowl, simply wrap the aluminum foil all over the bowl. Take note that you will have to make sure that the shiny side of the foil is facing outwards. 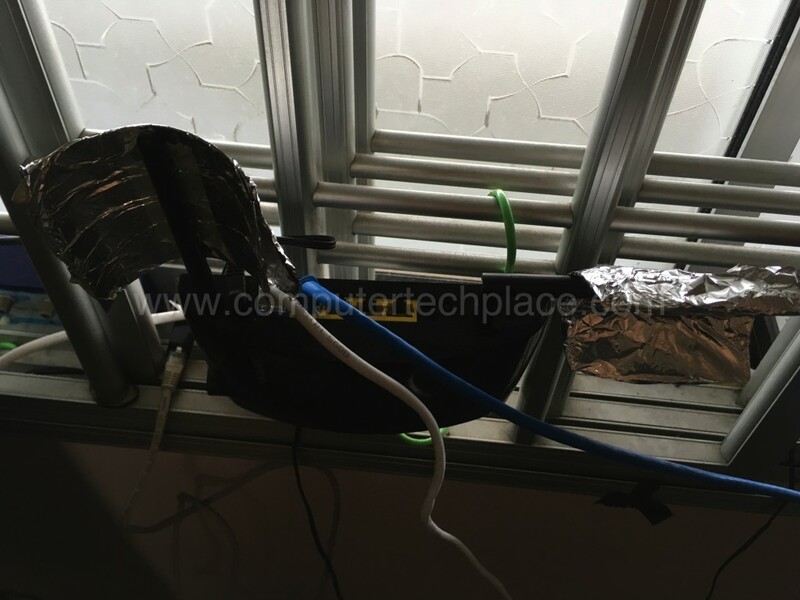 Once you have created the satellite dish out of aluminum foils and tin cans, you have to take note that the positioning of the antenna is also very critical. You will have to try to ensure that the signal is aiming at the direction where your computer is. As long as you do an imaginary laser line that will connect the router and the computer, the signal will be a lot better even if you have a wall in between. I hope that you will find this little tweak useful.